Begun in 1935, Boys State is a unique program that educates future leaders about government, civics, and patriotism in a “learn by doing” environment. 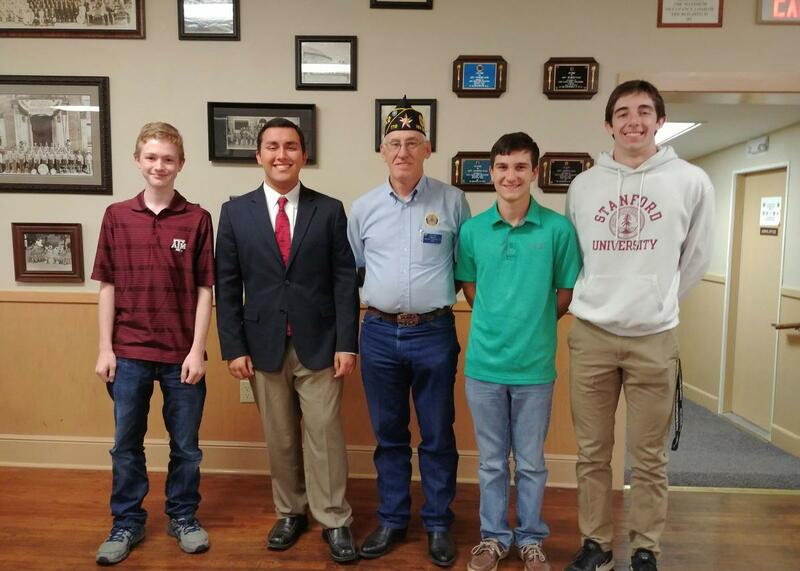 Twelve Comal ISD students graduated from American Legion Boys State, Department of Texas, better known as Texas Boys State, at their annual program in June. These students are Wyatt Doss, Wyatt McGinnis, Trent Pannkuk, and Reginald Brandon Warren from Smithson Valley High School, and Jordan Breeden, Nathan Culbreath, Ryan Dufer, Bayden Kuehler, Noah Lewis, Jacob Martinez, Jacob Piner, and Frank Rubakava from Canyon High School. Begun in 1935, Boys State is a unique program that educates future leaders about government, civics, and patriotism in a “learn by doing” environment. Each delegate has just finished his junior year of high school and was hand-picked by teachers, counselors, and local American Legion posts throughout Texas to attend this one-week seminar. During the week, the delegates were evenly split into fictional parties of the Nationalist and Federalists. Each party drafted party platforms, elected party officials, nominated candidates via primary elections, and contested a general election against the rival party and its candidates. The delegates ran for many kinds of offices including state, district, county, and city offices. Those elected to the House of Representatives and Senate spent the week drafting, debating, and passing bills on a wide range of social and economic issues. This year the delegates heard from dozens of distinguished guest speakers, ranging from Lt. Governor Dan Patrick and Texas Railroad Commissioner Christi Craddick, to three retired generals speaking on topics of leadership and public service. On Wednesday, June 13, Texas Boys State enjoyed a parade from the University of Texas at Austin campus to the Texas State Capitol, where they toured the building and dropped in on their hometown representatives’ offices. For more information on Boys State, visit www.TexasBoysState.com. In Photo: (L-R) Trent Pannkuk, Reginald Brandon Warren, Wyatt McGinnis & Wyatt Doss with their American Legion Sponsor.